For years they stood between us and danger, beside us in our troubles, and before us as an inspiration. Tall as a mountain, strong as a hurricane, and enduring as the earth beneath us, with a heart that burned as brightly and fiercely as the sun. They were our protector, our champion, our sword and shield. For we lucky few, they were a friend. And now they are dead. 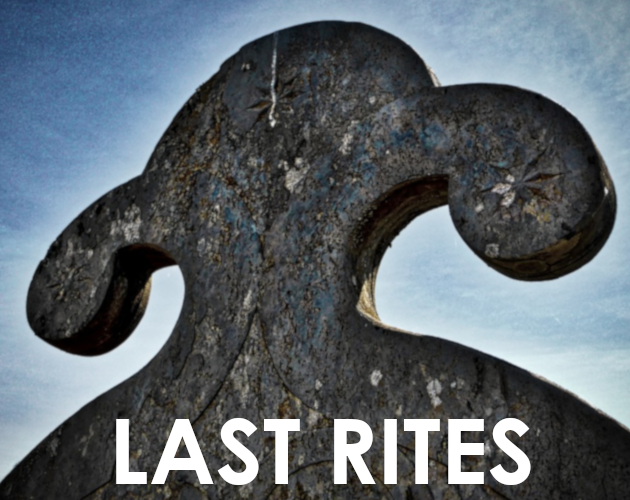 Last Rites is a LARP for 2 – 6 players and is part of #sadmechjam2k19. It is a game about the loved ones of a mech-pilot pair, gathered to prepare both bodies for the funeral and to say goodbye. It's inspired by Austin Walker's hot take: "All mecha stories are stories about bodies", and by the opening funeral scene of Xole Karman's brilliant game Caryatides. To play you will need a quiet room, a table, dark cloth to cover it, plenty of white tape, and some index cards and pens. You will also need a copy of this sheet.